INDE – Bhirrana - A new discovery has thrown new light on the age of Indus Valley Civilization making it older by another 2,000 years. This makes our native civilization older than that of Egypt and Babylon. The current findings revealed at the “International Conference on Harappan Archaeology”, organised by the Archaeological Survey of India (ASI) in Chandigarh place the date of the origin of the Indus Valley Civilisation at 6,000 years before Christ. The discovery puts at dispute the ongoing theory that settlements came up at an approximate of 3750 BC. In connection with the current research, BR Mani, ASI joint Director General, and KN Dikshit, former ASI Joint Director General said,”The preliminary results of the data from early sites of the Indo-Pak subcontinent suggest that the Indian civilisation emerged in the 8th millennium BC in the Ghaggar-Hakra and Baluchistan area. On the basis of radio-metric dates from Bhirrana (Haryana), the cultural remains of the pre-early Harappan horizon go back to 7380 BC to 6201 BC.” The current excavations have been carried out at two sites in Pakistan and Bhirrana, Kunal, Rakhigarhi and Baror in India. The previous set of excavations done in 1920 at Harappa and Mohenjo-daro showed Indus Valley Civilisation to be almost as old as those of Egypt and Mesopotamia. ROYAUME UNI - Oxford - An archaeology dig at a medieval nunnery in Oxford has unearthed a 4,000-year-old Bronze Age arrowhead. The five-week dig by the Archaeology of East Oxford Community Project (Archeox) also revealed prehistoric worked flints, medieval and roman pottery. The excavation at Littlemore Priory was a collaboration between volunteers and the University of Oxford. The excavation revealed stone walls, floors and hearths which showed the priory buildings were once much more extensive. Finds dating to the period of the nunnery, established in around AD1110, included a large amount of medieval pottery and decorated glazed floor-tiles showing heraldic designs including birds and griffins. MALAISIE – Lenggong Valley - The Lenggong Valley, which will be commemorating its recognition as a world heritage site this Saturday (Nov 10), still holds many remnants of the oldest pre-historic settlement in the country. The human civilisation appeared in the Lenggong Valley two million years ago and it is the place where one of the oldest human civilisation outside the African continent once lived. The Lenggong Valley has captured the attention and interest of the world's archaeological community since the discovery of the Perak Man's skeletal remains, a stone age (Paleolithic) tool and other ancient treasures. Mohd Syahrin that excavations and comprehensive research in the Lenggong Valley have been conducted since 1987, for a period of 20 years. Numerous pre-historic artefacts have been discovered, including thousands of stone tools, pottery and copper implements, at several sites that were once inhabited by humans during the Paleolithic period. He pointed out that among the important findings are the skeletal remains of the Perak Man which are 10,000 years old. They have been found in Gua Gunung Runtuh at Bukit Kepala Gajah, Kampung Gelok, here. "Another important site that has been identified is Kota Tampan. It was once a yard to make stone tools and it enlightens us on the stone tool making capabilities of the people who lived during that period," he said. Mohd Syahrin noted that the Perak Man is one of the few skeletal remains of the early human civilisation that is almost complete. 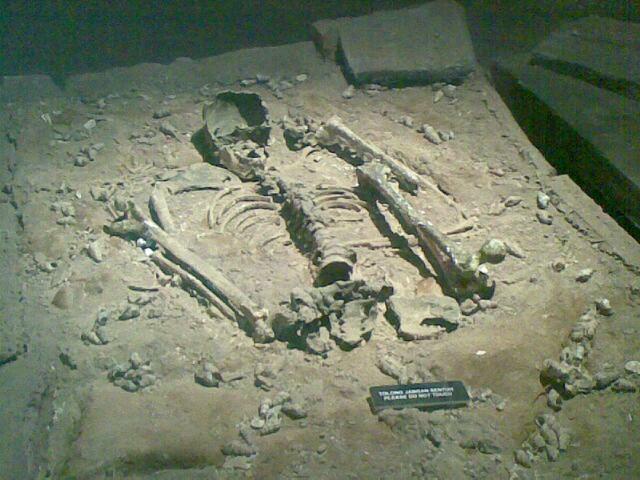 ;"The Perak Man refers to the skeletal remains of a man who was 154 cm tall. He was discovered buried in a foetal position. With him were 2,878 snails (siput sedut) with tapering ends of their shells cut open, an indication that there were ready to be consumed. "Remnants of grilled animal bones and stone tools were also discovered with the skeletal remains," he said. Further investigation revealed that the Perak Man suffered from genetic abnormalities and at the time of his death, he was estimated to be between 40 to 45 years, way beyond the lifespan of most people then. The customary burial accorded to the Perak Man indicated that he had an important role in the ancient society. It also indicated that the primitive community in Lenggong had a reasonably advanced civilisation. USA – Gainesville - In a hay field just north of the Marion County border, about two dozen high school students are helping unearth signs of what could be remnants of a 17th century Spanish mission and Native American village. The area was first explored in the 1970s by the University of Florida, but was never fully researched. 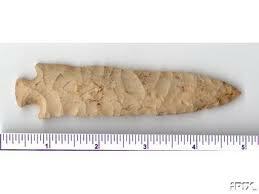 What they found included Native American pottery fragments, at least one arrowhead, called a point, and, most important, a small piece of a dish made in Spain from 1590 to 1620. The shard is of a kind of pottery called Majolica and was a type of utilitarian dinnerware used mostly by Franciscan friars. Boyer saw the find as further proof the area is the site of a mission, but went a step further in speculating it could be the true site of San Buenaventura de Potano. That site, about a dozen miles south of where the students were digging, was uncovered by archaeologist Ashley White. He and a number of other experts believe that site is San Buenaventura and also is a site where Hernando de Soto camped during his search for gold across the South. Boyer said the Spanish chronicles of de Soto’s trip had them camp near Dunnellon, then travel to a second site called Itaraholata and eventually to the area where the San Buenaventura mission was established several years later. Boyer said he believes the White site is Itaraholata. Boyer said in addition to the site being dug Thursday, another closer to Orange Lake and a third on the south side of the lake have been partially excavated and have all produced Spanish colonial and Native American artifacts, indicating mission sites. USA – Crowley's Ridge - An Arkansas State University student is using her physics background to research Burlington chert sources. Crowley's Ridge is a 150-mile long ridge that extends from Missouri to near Helena-West Helena. Crowley's Ridge is a gravel deposit that is millions of years old. It is from the Tertiary Age, Morrow said. The ridge was formed out of what Morrow calls "cobbles" from northern locations: 10 percent quartzite and 90 percent chert, she added. According to dictionary.com, chert is "a compact rock consisting essentially of micro-crystalline quartz." Specifically, Stuckey and Morrow want to know if certain Burlington chert found on Crowley's Ridge is from a Crowley's Ridge cobble source, from the Ozarks or somewhere else. The Ozarks is "like a dome of rock with chert inclusions," Morrow said. And Burlington chert is known to be near the Missouri River to north-central Arkansas, a strip in Illinois, and some in Oklahoma and a sliver of Kansas. Stuckey said chert forms in limestone beds. 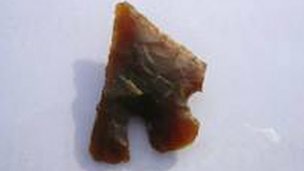 Native Americans used chert for tools, such as spear points, arrow points, knives, tiny fish hooks and ornamental objects, Morrow added. The key research questions is: Where did Native Americans get Burlington chert? They also want to know whether all Burlington chert is created equally or whether each Burlington chert source is chemically unique. Because of certain characteristics, Morrow believes the chert in question might have come from St. Louis. 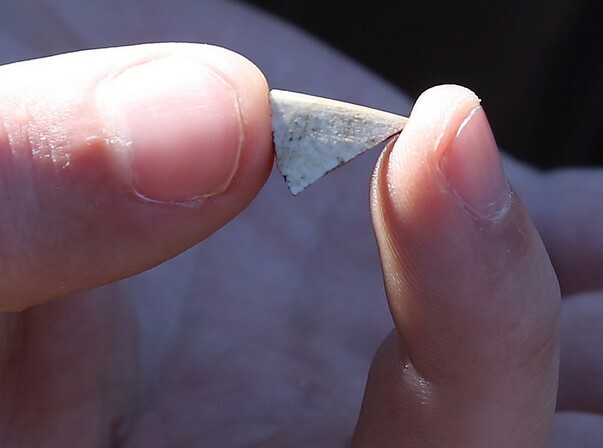 The researchers want to know whether Native Americans in Northeast Arkansas traveled to the St. Louis area to get the chert or obtained it through trades with other people. One problem Stuckey faces: The only way she can test the chert sample is to destroy the artifact, so she plans to first try using Fourier transform infrared spectroscopy. The technique includes shooting an infrared beam at the sample to "fingerprint" the chert, Stuckey said. Another problem is that the size of the sample is minute. Stuckey will take 4/1,000ths of a sample, mix it with a chemical and make a thin disc of the mixture before using instrumentation to analyze it. Stuckey and Morrow will write a paper detailing the project, and Morrow will present their findings at the 78th annual meeting of the Society for American Archaeology in April in Honolulu, Hawaii. Results from their research will contribute to a better understanding of natives' mobility and trade patterns from 12,000 calendar years ago, Morrow said. GRECE – Daphne - A significant archaeological find came to light some thirty years ago in Daphne, Attica. In spring 1981, in the area of Daphne (33 Olgas St.), during a rescue excavation, carried out by the archaeologist Angelos Liangouras, two adjacent graves were discovered. One of them contained a skeleton and four white-ground lekythoi. The other grave was richly adorned with parts of a papyrus roll, a polyptych, writing utensils and three musical instruments. The complete content of the two graves is currently on permanent exhibition in a special show case at the Archaeological Museum of Piraeus. The so-called Tomb of the Poet dates back to the Classical era (around 430 BC) and the excellent condition of the grave goods yielded valuable information to archaeologists – especially concerning music and musical instruments in ancient times. The harp, known only from its iconography, is the only find of this instrument. With the permission of the 26th Ephorate of Prehistoric and Classical Antiquities, the three musical instruments (harp, lyre, aulos) will be studied and publicated, a project funded by the John S. Latsis Public Benefit Foundation. Because of the uniqueness of the instruments, the aforementioned organological study will include physical modeling and the creation of exact replicas of the instruments. In the framework of Megaron Plus, this unique find and the results of its study will be presented.